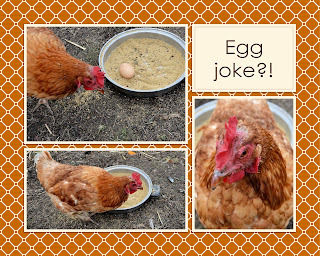 Hamby Home(in)stead ...: Joke egg?! Q: What did the chicken say when it laid a square egg? A: Ouch! 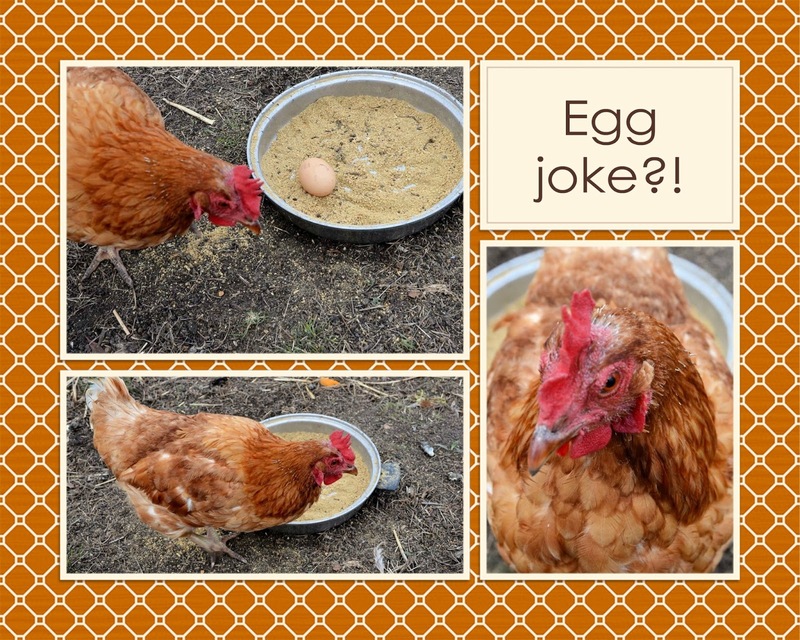 We don't know which chookie laid her egg in the food dish - or what she said when she did! It seemed quite a bird-brained thing to do. Praps she was having a bit of a "yolk" with us?! As an aside, the food dish was another "dump shop" find. It's made of stainless steel, so heavy enough that the girls can't tip it over. At $2.00 it was a definite bargain - no joke!